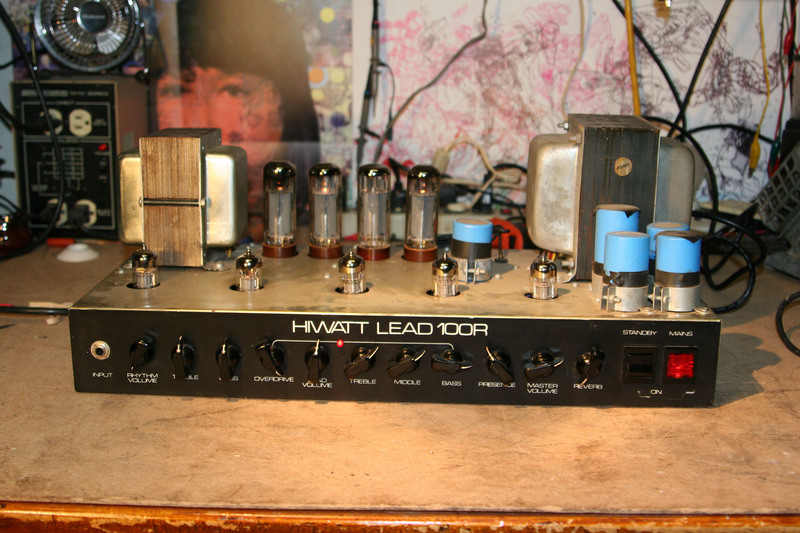 Hiwatt L100R from the mid 80s or so. Not a typical Hiwatt like you would expect because it is a channel switching amp — it has a clean channel and distortion channel, and reverb. Transformers are absolutely massive. Clean sounds like a Hiwatt but the gain channel is pretty whatever. Seems like they tried to get down with the 80s metal trend but it didn’t work good. Oh well, still has that Hiwatt clean sound that people love. 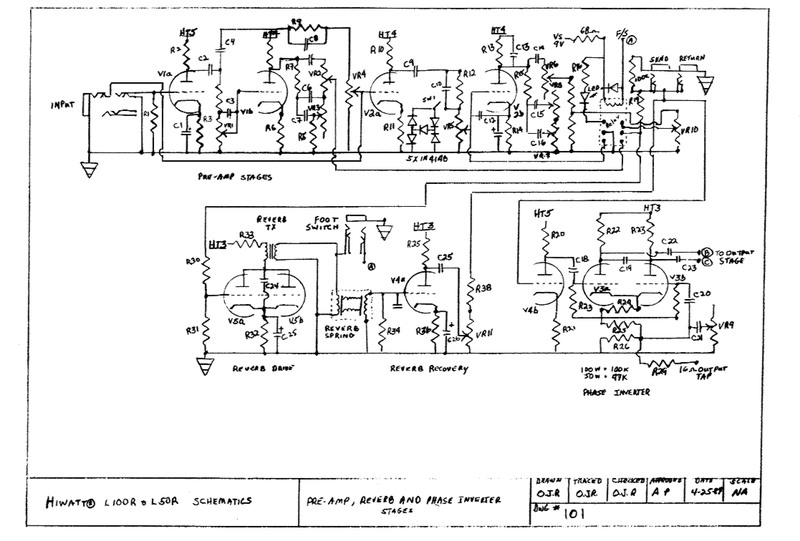 Kind of a weird PCB era of Hiwatt. The build is kind of janky but I don’t think know if it came from the factory that way or if someone did a sloppy recap on it. Also look how the plate leads for the output transformer are clipped short and then there is another wire attached to make it reach to the tube sockets. Same thing around the AC input. Also this amp has a bunch of PCB interconnects but it looks like Hiwatt ran out of them and they are hardwired instead? Not what you would typically expect from Hiwatt but this one is from a dark era I guess. It works and sounds pretty good, but not a high quality job like the 70s ones are known for. 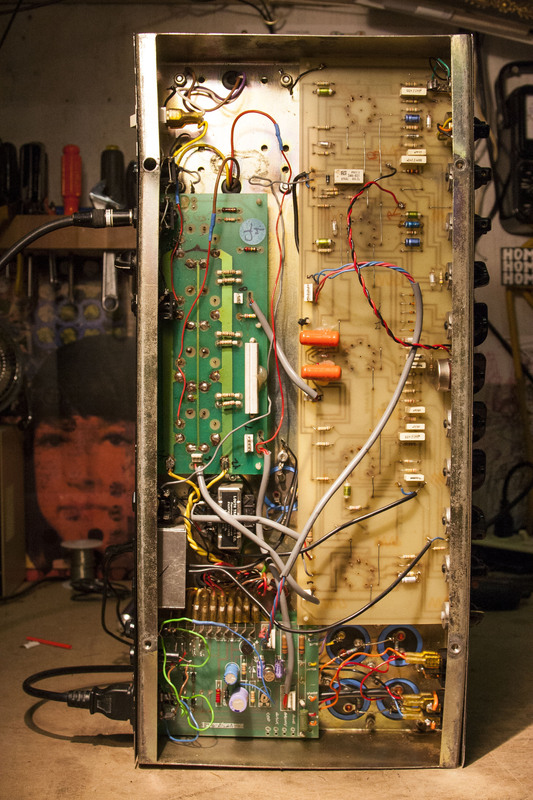 This amp had a red plating power tube that seemed to have taken out a 10K/5W dropping resistor in the power supply. Since the 10K resistor was toasted the amp was getting a very weak B+ voltage and in turn sounded very weak.